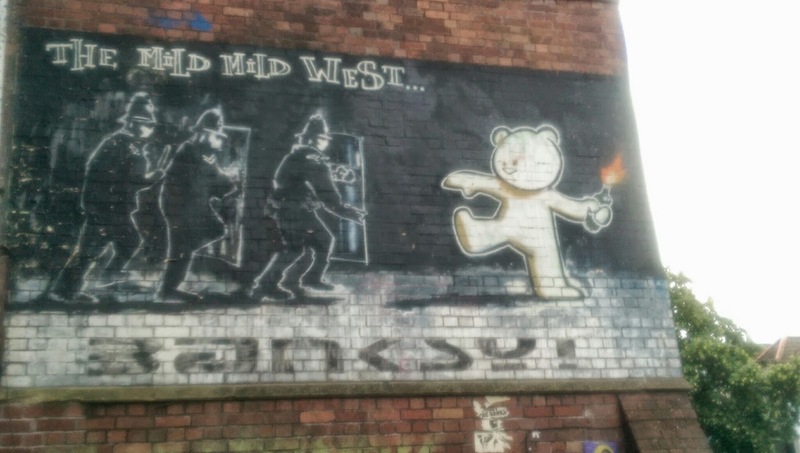 When you think about Bristol and street art, your mind can't help but race through images of Banksy's work. 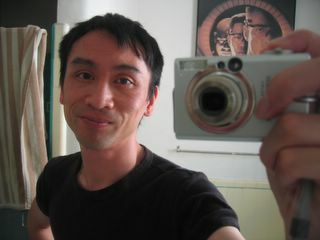 But for those in the know, he was considered the city's second generation of street artists. The first generation were known as graffiti artists and followed a more New York style of aerosol art. I mention this because history is important to get context and dig deeper, beyond the superficial. On a recent "Where The Walls" street art tour visitors got a first hand account of the Bristol street art scene. The focus was on today's active artists, but if you press the tour guides they will fill you in on Bristol's vibrant graffiti heritage that has created the rich, creative community today. All the Where the Walls guides are involved in the street art scene today, but more importantly, have been around before anyone was interested in Banksy! Join the 5-star rated tour and you might be lucky enough to be led around the city by John Nation. As an ex-youth worker and influential community leader of the Bristol street art scene you'll get a unique perspective of the scene. On my tour, visitors also heard about the history of Barton Hill Youth Club, which was a place teeming with graffiti talent back in the late '80s and early '90s. Check out pictures of the tour below. 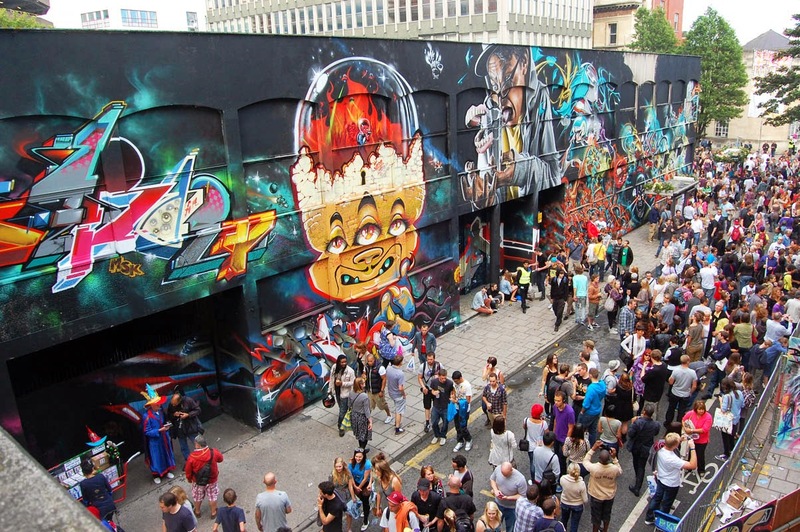 Why Bristol is UK's street art HQ The love for graffiti and the laid back West Country manner allowed entrepreneurial artists to create an enviable environment to develop their artform. This is witnessed by legal, council and business supported events around the city, as early as the 1980s. I first met Inkie, a leader in the street art movement in the UK, Europe and the U.S., at an Arnolfini Art Gallery event, 1985 (organized by Nick Walker.) 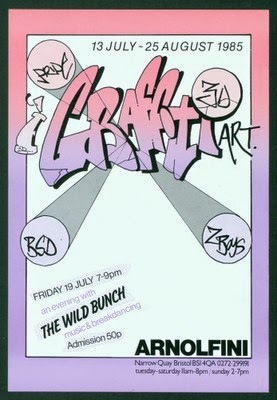 This event featured the U.K.'s pioneering first wave of artists - Bristol's 3D, Goldie, Pride (The Chrome Angelz,) and ZBoys. Fast forward to 1998 and Bristol hosted "Walls of Fire." This time, Inkie organized this massive public graffiti art event around the Harbourside development in the center of the city. More recent headlines have been made by Inkie's "See No Evil" street art festival which began in 2012 and ran until 2013. As described by the Bristol Evening Post, the event is taking a sabbatical this year to take stock and make plans for (hopefully) next year. Taking a break is also the theme for a south Bristol street art event, called Upfest. Described as "Europe's largest urban arts festival," Upfest ran for six years until this year in the Southville area of Bristol. Today is my last day in Bristol. On this summer trip I got to join the street art tour and visit St. Paul's Carnival for the first time in over a decade. Things are different, but, oddly, also remain the same in this laid back city. Definitely make a visit if you get the chance.